Do you have the "Recipe for a Successful School Year"? Well, this product can help. 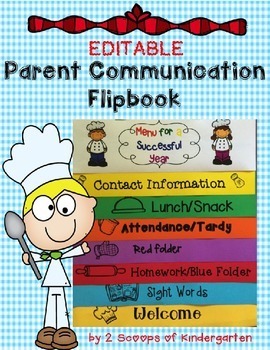 This fun flipbook can be used at Meet the Teacher, Curriculum Night, or Back to School Parent Night as a parent communication book. 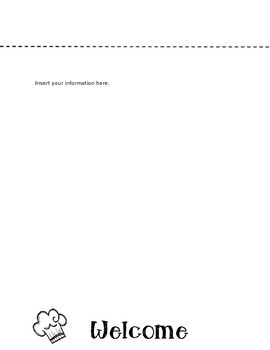 The pages here are the cover, welcome, sight word, contact information, homework, lunch/snack, and attendance/tardy page. This product is a Power Point and can be edited to create the product that fits your needs. All you need to do is type in your headings, print, cut along the dotted lines and staple ~ your flipbook is ready to pass out to your parents. A magnet can be attached to the back for easy access. 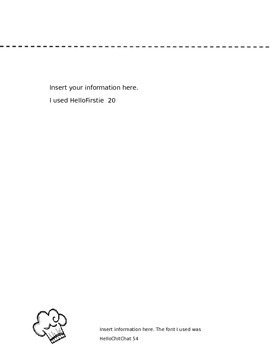 Each form has an editable version and can be changed easily. 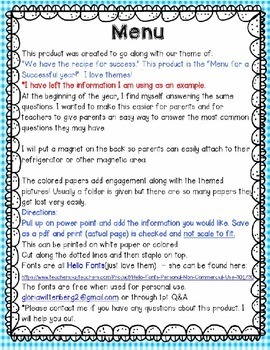 Back to School Parent Forms (editable) Recipe for Success theme.